Its scary and exciting all at once to write about yourself. Especially on a forum where I am a novice – but hey – this was exactly what I felt when I first rode too! 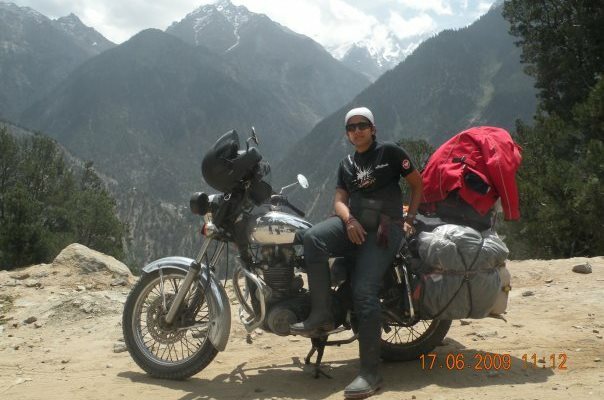 Its not that you don’t have bullet riders at every nukkad these days – guess what’s important is – do you have a rider in you. And with Inddiesthumpers – riding becomes you! I began riding about a year ago – precisely a year ago. With my friend for the last 10 years as my pillion I took off to Dabhosa for the club anniversary. Had a nasty fall right at the start of the lovely scenic road – hurt my pillion and “Wild Fury” took a small dent herself. It was enough for me to give up and say “yaar ab tu chala.” I guess if that time Ashish wouldn’t have said “kaunsa rider nahi girta Niki – ab tu bhi rider hai – pick up the bike and lets go.” I wouldn’t have ever taken to riding. Riding with Inddiethumpers is like riding with just an extension of me – there’s no nakhra!